It also makes it even easier to play power chords - you only need one finger with drop D! It's not only easier to play power chords on the low strings, it's also easier to have drones especially in D and A. And as with any more-or-less-open tuning, you have different pitches for the unfretted strings, which means a fuller tone for different notes. I think of it as a compromise between standard tuning and DADGAD. It's a combination of lower-sound and easier play. While playing power-chords is easier... that opens up more complex playing patterns. You can run down a scale and land on a power-chord, which can sound really cool. It also adds a lot of opportunity for "open" positions while playing in the key of D, which is also really nice. I play equally in E standard and Drop-D and tend to prefer Drop-D while playing bluesy stuff. E sounds better to me when playing metal though. Because it gives a lower, grungier sound. Dropping to D also has the advantage of dropping, so it's reducing tension on the string. Tuning down: safer than tuning up. It's also at the extreme low end of what a guitar can play, so you get an extra note, and one finger (or slide) power chords can be desirable. Drop Tuning is very easy to play. It does not only provide the possibility to play most chords with only one finger, but also typical progressions in the metal genre are closer to each other because of the "two-steps-down" tuning on the first string. Genres such as Metalcore become ridiculously easy with a bit of practice and you won't have to slide your fingers on your whole guitar neck to play a basic riff. The ease to play powerchords in drop tuning can also make you extremely fast, which also gave birth to the Grindcore genre (like metalcore, but above 200bpm). It's easy, it's fast, you can play powerchords like a punk, but it sounds like metal, hell yeah! Breakdowns can, of course be more complex, but it also allows you to play something cool while completely sucking at playing guitar. Great bands using drop tuning exist as well, don't worry! Yes, but one might wonder: Having to use two fingers instead of one to play a power chord is not that difficult, so why switch to a different tuning just for that? The main advantage for me is that with only one finger needed for a power chord on the low strings, you have more fingers left to layer more complex patterns on top of that power chord. On acoustic guitar, drop D is popular because you have a bigger range of pitches while using open-string chords. It doesn't quite give you the ethereal, ghostly sound you get with DADGAD but it's close. And, as others have pointed out, retuning one string is pretty quick; I've tuned to drop-D in the middle of a song, if you have bandmates to cover for a measure it works fine. It sounds "dirty" if distorted, because the lower you go the dirtier the distortion sounds. The looser string has a sound of its own; it's a bit more bassey and responds to palm-muting well because of extra looseness. 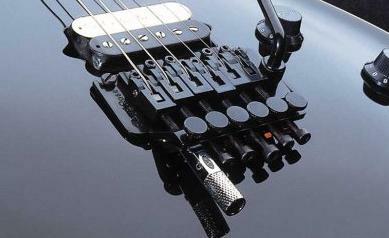 It extends the musical range of your guitar by a full tone. If not distorted, you can get a lovely full sound. Classic example : "Place your hands" by Reef. That first note = dropped D, a little bit crunchy. Yum ! Annoying if over-used though, like anything.
. Hope I helped ! It's a trick as old as the hills. There are examples of it at least as early as Led Zeppelin in rock music. I play in drop C, the tuning is this, starting from the lowest to highest string...CGCFAD. I absolutely Love this tuning and here's why. It's easier to play super fast power chords and use slides. From a power chord you can easily simply add notes on the 4th string that are in the scale to make low minor and major chords. Example, have the two lowest strings on the 5th fret and put your pinky on the 8th fret(Fmin). You can make another type of low Major and minor chords by using ur pinky and ring finger as a power chord,then skip the 4th string and playing half a step up from your power chord for a Major chord, or a minor chord, by going a full step up from the power on the 3rd string. Since strings 5,4,3,2 and one full step down from standard E tuning, the are much much easier to bend for lead. Try playing a minor penatonic(blouse scale) in this tuning and bend them strings with better easy and control...you may never wanna play in standard E again...I know I don't. Finally, the over all sound is much lower than standard E tuning. This makes power chords sound heavier and if you have a clean sound your Majors and minors will have a nice, deep sound. It works great for heavy rock, but could be used well in Country or others styles as well. In conclusion, you get a nice low sound,faster playing, easier string bending, more unique Major and minor chords,easy drones. It's a great tuning and you can make cool guitar riffs easily if your a beginner, and it gives more advanced players a lot more freedom. Playing powerchords with one finger does not satisfy me. On second string all powerchords reamain the same like in standard tuning. I would say that it is easier to play lower powerchords with dropped tuning. Many players are able to play powerchords with two fingers without any pain (even me) using standard tuned guitar. D5 open-stringed is easy to mix any other powechords in any position on freboard. This is frequently used in any metal bands and IMHO this is the best reason for retuning into dropped tune. Even you would try to play this song full tone higher than original in standard tuning it would be hard to slide from E5 to E5 in octave. Personally I don't like sound of dropped tuning because It sounds little dirty but I'm not metal fan actually. You do a full bar and have the power chord ring while you play melody type things on the other strings. The guitarist from Billy Talent does that pretty good. In classical music you rely heavy on the bass note ringing. So if you drop the E you get an entirely new note that rings and brings a new key to an E centered instrument. Best method to learn to play barre chords? Lap Steel Tuning for more “modern” music? What is the true definition of Drop C tuning?